The first Massachusetts woman to earn a college degree, she rose to prominence as a lecturer for William Lloyd Garrison's Anti-Slavery Society. 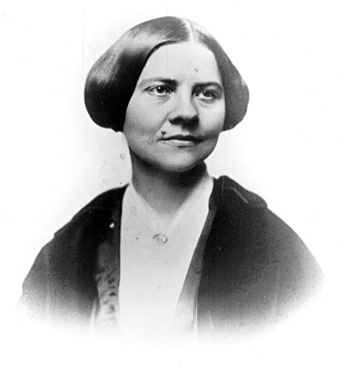 She helped form the American Equal Rights Association in 1866 which advocated equality for women and an end to slavery. This unity of causes was split by the 14th amendment which extended voting rights to former slave men, but reinforced the disenfranchisement of women. Stone believed if both could not be done at once, then justice should be achieved by race, even if it must wait for women. She married Henry Blackwell, brother of the pioneer doctors, Elizabeth and Emily Blackwell, and brother-in-law of Antoinette Brown Blackwell, the first woman ordained a minister in the United States, but she kept her own name and he joined her in protesting against contemporary marriage laws. In keeping with her independent spirit she was the first person in Massachusetts to be cremated.